I’m not really someone that likes wearing bronzer or heavy makeup. My go to makeup style is always the more natural look. So I’m not much of a girl that likes bronzers especially since a lot of colors seem way too dark on my skin. I did want to learn how to contour though and bought the TonyMoly Cristal blusher a long while ago. I was first introduced to this blusher from Pony’s youtube videos (and I absolutely adore her by the way!). 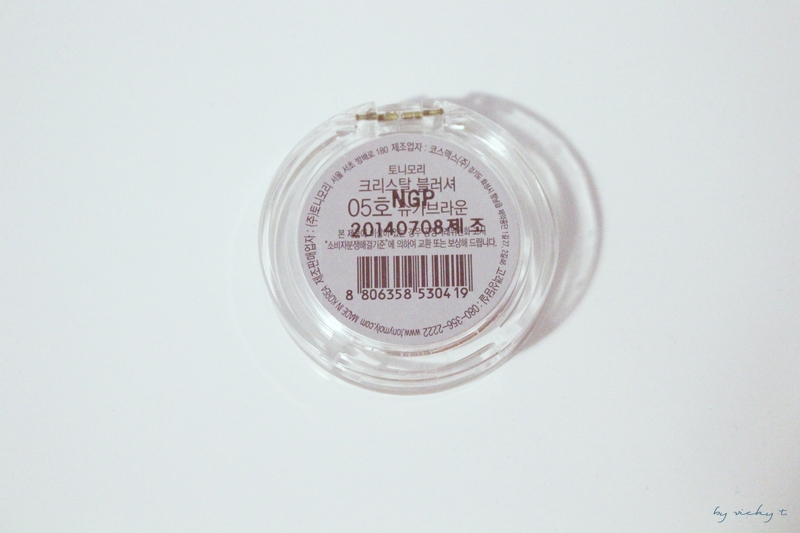 I bought it from Koreadepart, an online store that ships Korean beauty products, in the color #5 – Sugar Brown. As the name suggest, it’s a really light color of brown and it resembles the color of some natural cane sugar. Urban Outfitters started selling this blusher lately but not in this color. It comes in a powder form and is contained in a small clear generic compact which is very easy to travel with. I don’t have much pictures of it on my face since it’s not very obvious in pictures. 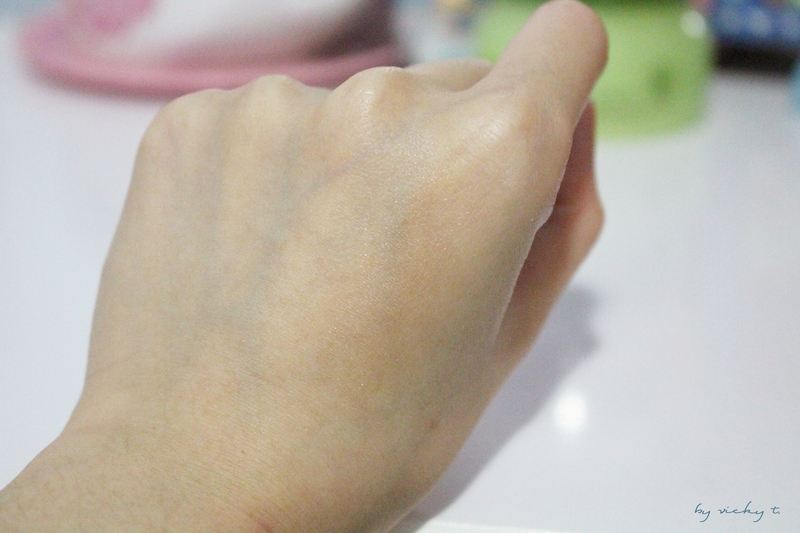 But as you can see on the back of my hand, which is a bit more tan than my face, it’s about a shade darker. 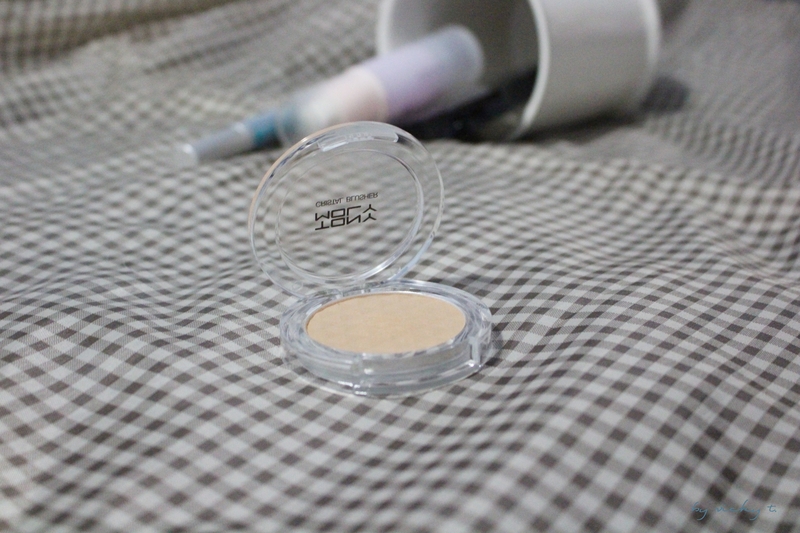 It’s a pretty light color and I feel that it looks very natural when used for contouring. I like to use it for the areas around the sides of my nose since I’m asian and the nose is not very tall. This is not really fit for people that are used to darker colored bronzers though. It does have a bit of a shimmer or glitter as a lot of Korean products but it’s not very noticeable when used on the face. It looks so nice hahah! Great review, I don’t have this one but I’ll have to go check it out. Love your blog, so refreshing.